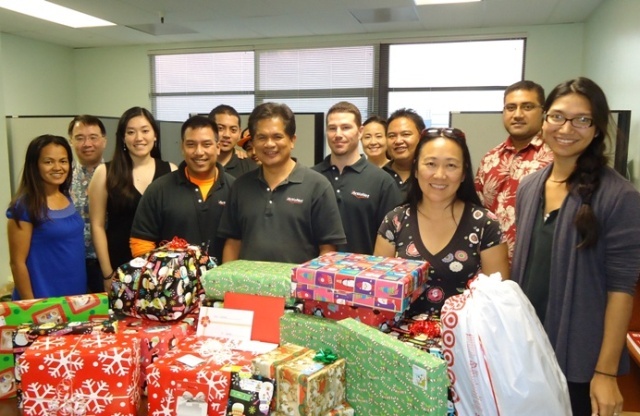 ActioNet employees in Hawaii adopted a family in need through the Lokahi Giving Project during the holiday season. The Lokahi Giving Project is a unique community partnership lending a helping hand to those who face a life crisis or emergency situation beyond their control. ActioNet employees donated and wrapped educational toys, clothing, toiletries, and other items to provide the young couple and their two-year-old twins assistance and cheer for the holidays.